Mexican tile, often referred to as "saltillo tile," is a commonly used flooring material that has been used in southwest style architecture for over a century. The tile is often considered a rustic finishing material; it is not uncommon for Mexican tiles to have imperfections ranging from cracks to holes and pits. While these imperfections are part of what make them a desirable finish material, repairing them is vital to preventing further damage to both the tiles and their mounting surface. 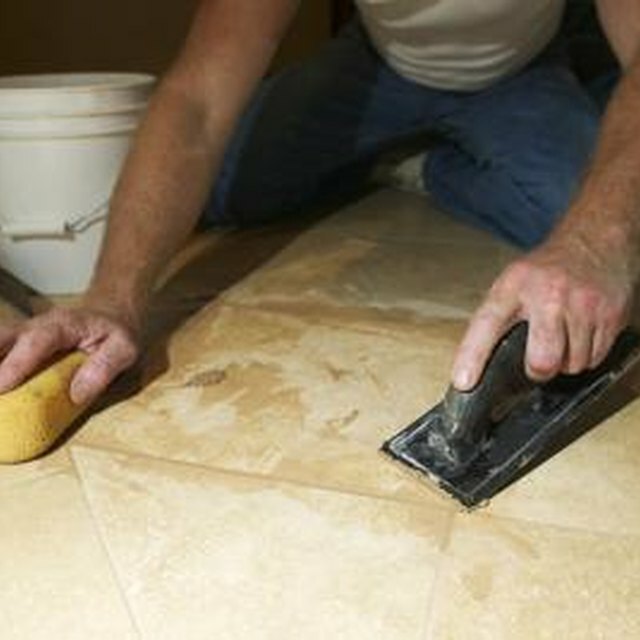 The use of tile patch compound is the most cost effective way to remedy any imperfections. Mexican tile is a natural looking flooring material. Clean any loose dust or debris from the hole with the vacuum cleaner. Prepare the saltillo tile patch compound as directed on its packaging; most brands are packaged for immediate use but may require light mixing. Apply the saltillo tile patch compound to the hole of the tile with the rubber float trowel. Wipe any excess patch compound from the tile surface with a large wet sponge. Allow the saltillo tile patch compound to completely cure, as directed on its packaging, before allowing any foot traffic in the area.